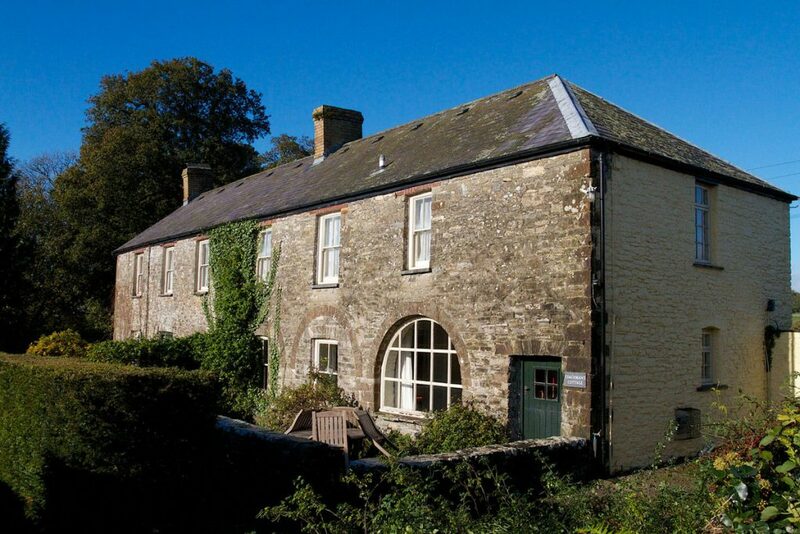 Grade II listed Coachman’s Cottage was once part of the home farm at Aberglasney, which had its farming heyday under the ownership of the forward-thinking Thomas Phillips. He bought Aberglasney in 1803 on his retirement from the Honorable East India Company, where he had risen to the role of Head Surgeon. Coachman’s Cottage, originally a coach house, has been sympathetically and tastefully restored to retain its unique character. The front aspect of the cottage is dominated by the striking arched window which takes the place of what once was a carriage entrance. Coachman’s Cottage sleeps four people in two bedrooms; the master bedroom has a king size sleigh bed and en-suite bathroom. The second bedroom has twin beds and an en-suite shower room. Filled with antique furniture and painted in a soft pallet of Farrow and Ball colours Coachman’s Cottage has a bespoke kitchen with a dishwasher, microwave and combined washing machine & tumble dryer. There is also a flat screen TV and DVD player as well as a DAB digital radio and CD player with Bluetooth connection. The ornate fireplace in the sitting room is thought to have come from the main house at Aberglasney. The cottage a designated parking. A high chair and cot are available on request. Sorry, pets are not allowed in either the cottages or Gardens. You can check the availability of Coachman's Cottage on the calendar below. Please select an arrival date (underlined) to check the price. To make an online booking for a selected date, please specify the number of guests and click 'Continue' to progress the booking process. Find out more about staying at Aberglasney and the local area, and compare the availability of out two cottages on side-by-side calendars on the 'Stay with Us' page.